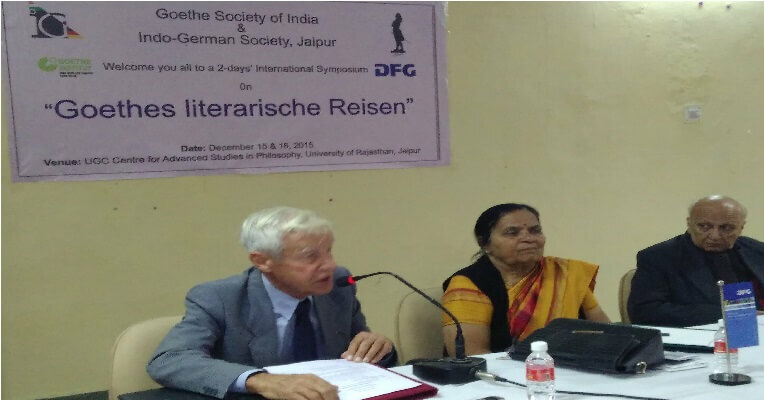 The chief Guest and main speaker was Prof. Helmut Koopmann from Germany. In this symposium german scholars and professor s of German language like Prof. Anil Bhatti,JNU,Dl , prof. Pramod Talgeri, JNU,Dl, prof. Jyoti Sabharwal, prof. V.Ganeshan ,H1yd and Atlanta,Abhay Mishra, BHU ,Pro. Vibha Surana, and Dipti Tambe, Uni. Of Mumbai participated.